Mayor of Athlone, Aengus O’Rourke has announced that Santa Claus has accepted his invitation to come to Athlone for the switching on of the Christmas lights. The turning on of the Christmas lights is set to take place earlier this year on Sunday, November 26 at 4.30pm in the Civic Square. “I am delighted that the man himself has accepted my invitation to come to Athlone,” the mayor said. “Unfortunately, Santa Claus cannot safely land his sleigh in the Civic Square as there will be too many people there. So, Santa is landing in the Army Barracks at approximately 4pm, but his arrival time will depend on weather conditions between Ireland and Lapland. This event marks the official start of the Christmas shopping and festive season. 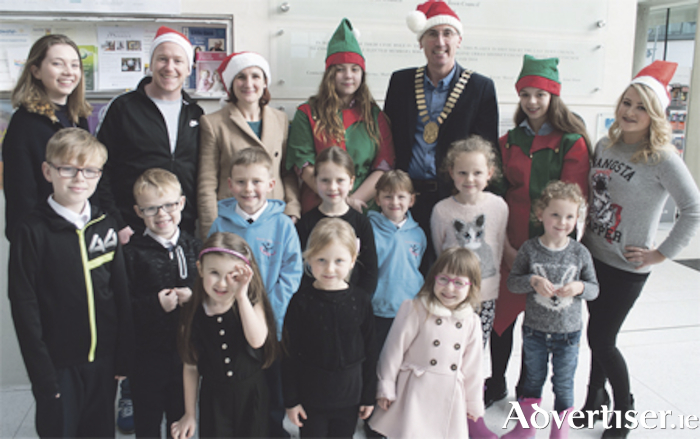 By bringing this event forward by a week and incorporating a party and festive buzz in the Civic Square, Mayor O’Rourke is hoping the evening will generate a feel-good Christmas atmosphere in the town. “I am encouraging families with young children to come to the Civic Square in town to meet Santa and participate in the fun,” the mayor continued. “We have lots of fun and entertainment lined up, with carol singing from over 50 children from the Mary Fox Stage Drama Group, Joe McCaul and his band, Micheala Hayes from iRadio, The Bronte Stage School, the Army Band, and a few surprises too.